Durga Puja is celebrated with vigor and high spirits across India. This is the time for fast, feast and celebrations. Make this special occasion all the more special by sending Durga Puja quotes and Kali Puja messages 2018 to your employees. 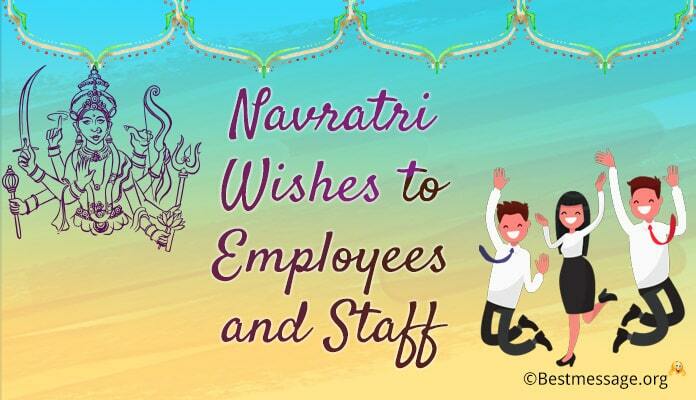 These Happy Durga Puja 2018 messages not only help you wish your employees but also fill them with new energies. 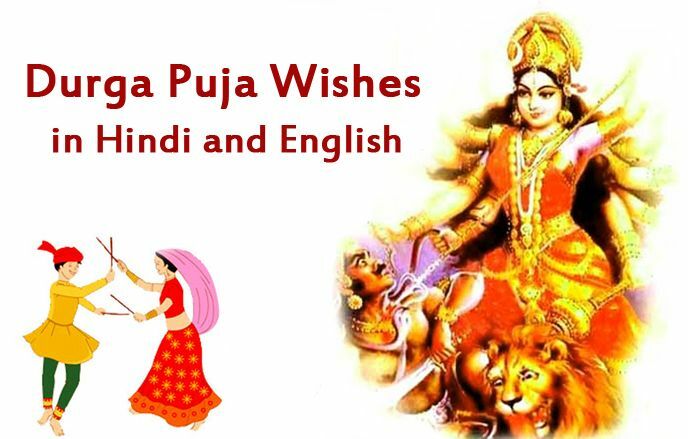 Here is a lovely collection of Durga Puja wishes in Hindi, English. 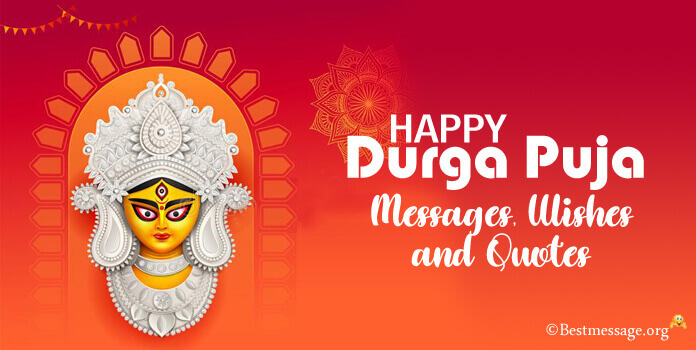 Send Durga Puja greetings to your employees with these sample text messages. 1. Surrender yourself in Bhakti of Maa Durga to seek her blessings for a brighter and prosperous future…. 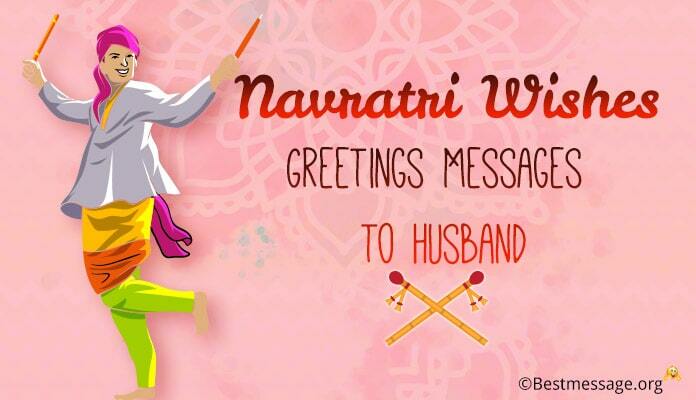 Best wishes on Navratri to you. 2. Mata always loves and supports those who work hard in life, who are loyal, who stand for right…. Wishing you a Happy and Prosperous Navratri. 3. Let us come together to celebrate the auspicious occasion of Durga Puja…. Let us offer our prayers to Maa and thank Her for all Her love and blessings she has always showered us with… Warm wishes on Durga Puja to you my dear. 4. May this festive occasion of Durga Puja bring along beautiful moments of happiness with your loved ones, successful and prosperous times at work, glory and joy for unmatched contentment. Wish you success and smiles on this beautiful festival. Happy Durga Puja to you. 5. Durga Puja is the time to come together and offer prayers to Maa, to seek her divine blessings and to participate in great celebrations. We wish you happiest moments and successful times. Sending heartfelt greetings to you and your family on Kali Puja 2018. Jai Durga Maa!!! 6. On the pious occasion of Kali Puja, we send warm wishes to you and your family. May this occasion of Navratri and Durga Puja brighten your life with happiness and prosperity. May it bring along good fortune and great strength to you. Happy Durga Puja to you. 7. We wish may Maa Durga always shower you and your family with her divine blessings. May you always grow and move ahead in life with her protection. May you are blessed with positivity and new opportunities. Best wishes to you and your family on the occasion of Durga Puja. 8. We wish that at every step of your life, you have Maa Durga to guide you, protect you and help you face challenges of life with strength and optimist. We pray that you walk the path of success and prosperity with your hard work. Wishing you and your loved one Happy Durga Puja. 9. On the glorious occasion of Kali Puja, we wish that Maa bless you and your family with prosperity, happiness, health, togetherness, wealth and success this year. May you have a beautiful year filled with new chances to grow. Best wishes on the occasion of Durga Puja. 10. Durga Puja is the time to devote yourself in the service of Maa… it is the time to offer her your prayers and seek her blessings. Let us pray for her guidance and love to move ahead in life and be successful. Warm wishes to you and your family on the occasion of Kali Puja. 11. On this auspicious day of Durga Puja, warm greetings to you and your family…. We pray for your happiness, success and glory. May you work harder and shine brighter with your efforts with the divine blessings of Maa Durga. May She always shower her love on you. Happy Durga Puja. 12. May Goddess Durga always protect you from all the dangers in life, always give you strength to fight the troubles and always inspire you to become a better person…..Wishing you and family a very Happy Durga Puja. May you always prosper and get rewarded with success!!! 13. I pray that may Maa Durga empower you and your family with nine of her choicest blessings… May she shower you with Name, Health, Fame, Wealth, Happiness, Devotion, Humanity, Education and Strength. Wishing you a very Happy Navratri and Happy Durga Puja. 14. I wish Maa Durga shower you with all the strength and vigor to make it the most wonderful year…. Wishing you new chances, new challenges and new success…. Wishing you a very Happy Durga Pooja!!! 15. 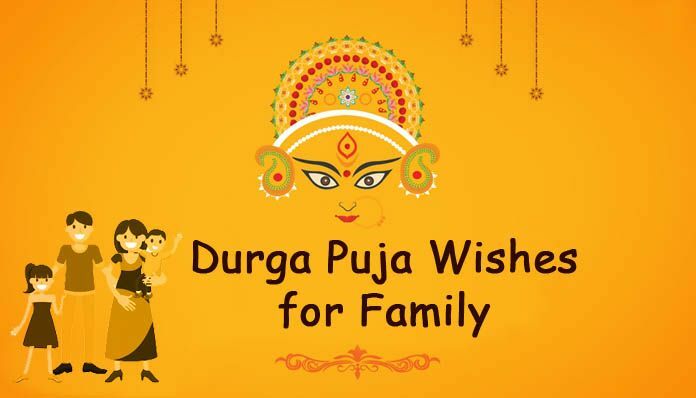 It is the time of high energies and positivity, it is the time to engage in best celebrations of the year, it is the time to seek blessings from Maa Durga, it is the time to enjoy the festivities….. 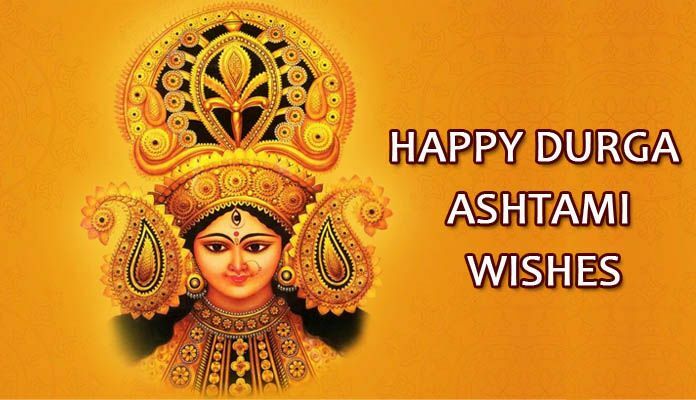 Happy Durga Ashtami to you and your family members.